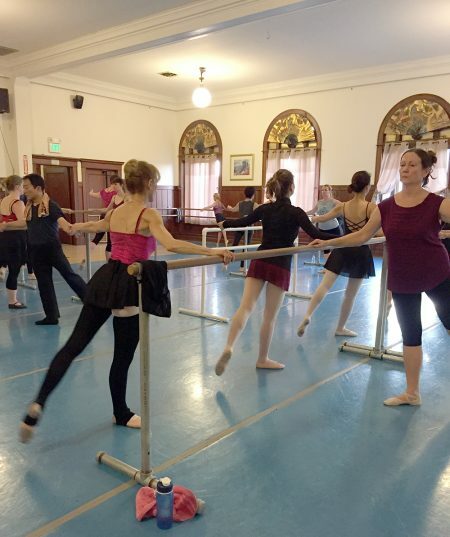 Julie Lowe offers a wonderful, thriving adult evening ballet program with classes for everyone, from absolute beginners to seasoned long time students. We know you will love Julie’s classes! The current series runs through April 25th, and the 8-week May/June series begins May 7th. Registration for the next series is open here. Please email us if you have any questions or would like to join the current session.